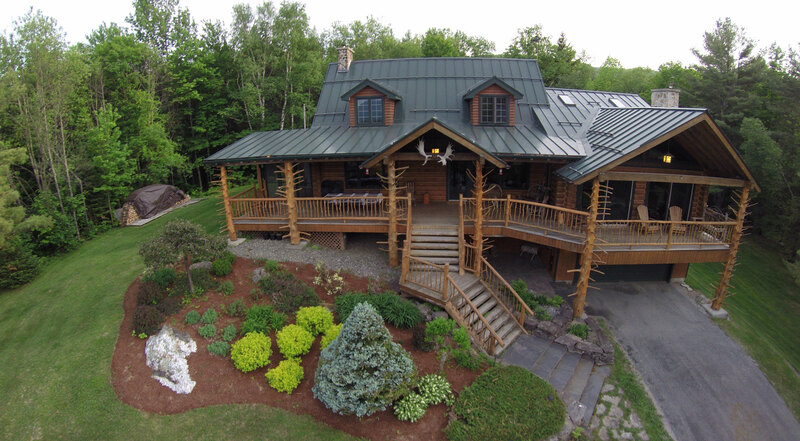 Nestled on 86 secluded acres in the Green Mountains, the Adirondack style Moose Meadow Lodge in Waterbury, Vermont invites you to enjoy a Vermont lodge experience. Make yourselves at home and enjoy the peace and serenity of our secluded property. 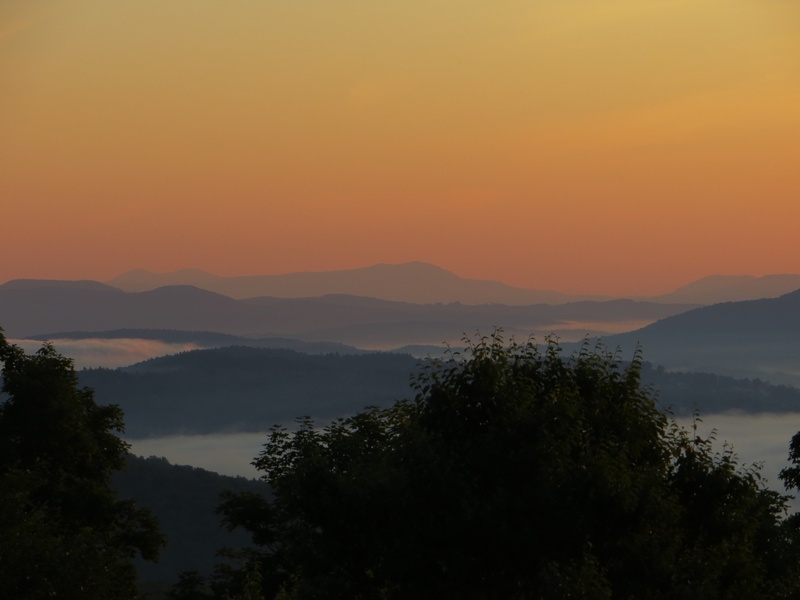 With four luxury guest rooms and a magical treehouse, the property provides mountain views, a hot tub, hiking trails, a trout pond, and the Sky Loft - a glass-enclosed gazebo at the highest point of the property with unparalleled panoramic views. 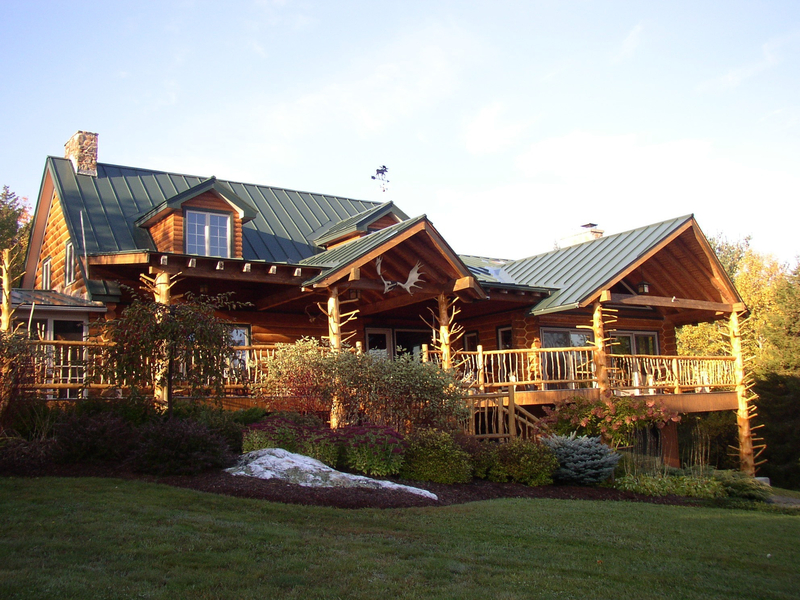 A Vermont log cabin like no other, the Moose Meadow Lodge is close to Vermont's most popular attractions, including Ben & Jerry's Ice Cream factory, and the ski resorts of Stowe, Sugarbush, Bolton, and Mad River Glen. The friendly village of Waterbury, New England's best craft beer town, is only three miles away. 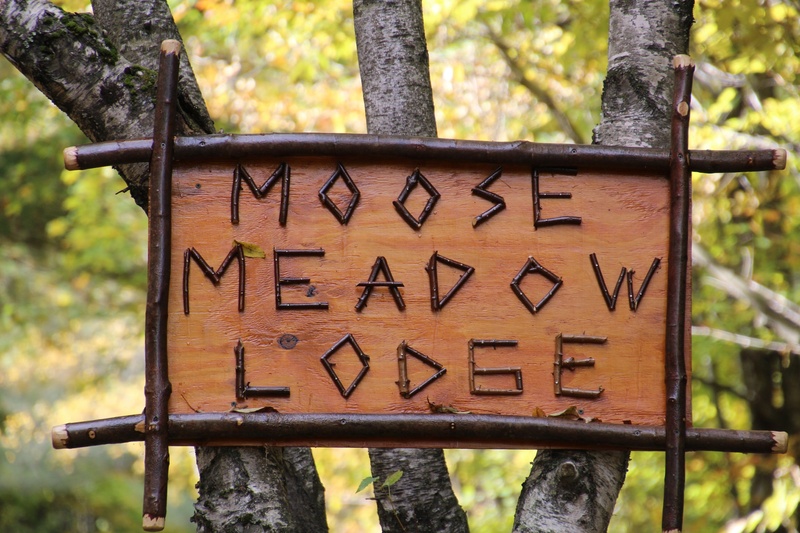 The Moose Meadow Lodge and Treehouse can accommodate up to 12 people, which makes it a perfect setting for a family reunion, wedding or vacation rental with friends. 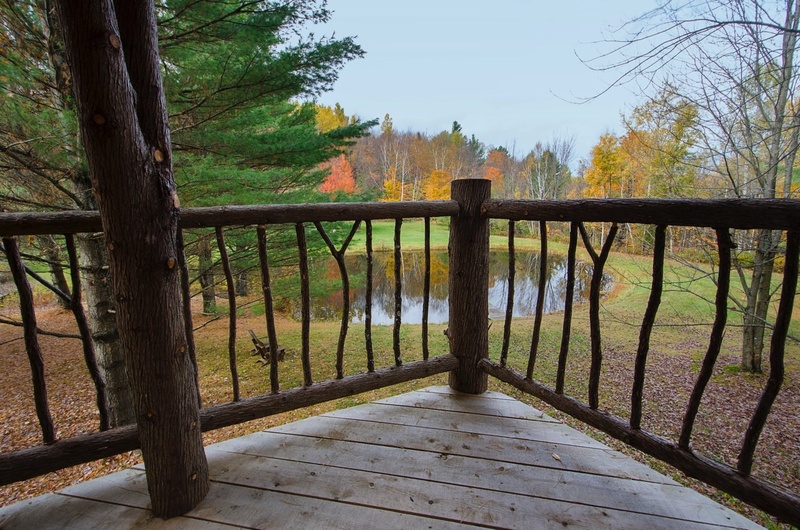 Rekindle your childhood and stay in our luxury two-story treehouse. The tree-high setting along with the artistically crafted building, decor and furnishings create a magical experience. Rent the entire Lodge for your family reunion, group retreat or friends getaway at a considerable discount. Bring your own food. Make your own meals and enjoy all the amenities at Moose Meadow. Package includes room for a maximum of10 people in the main lodge, bed linens, towels, use of kitchen and outdoor grill. Breakfast and daily housekeeping are not included. 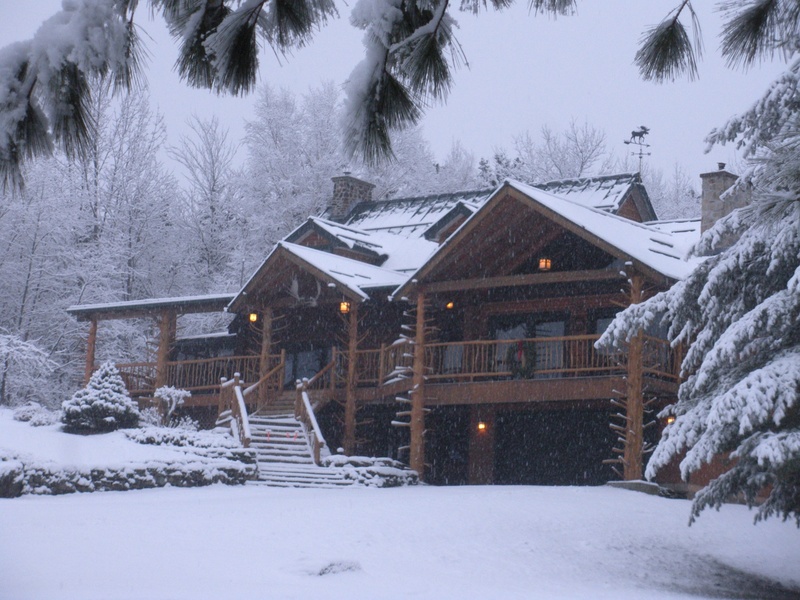 Prices for Main Lodge only: Low Season $715/night or $4500/week . Mid Season $860/night or $5415/week. Peak Season $930/night or $5850/week. 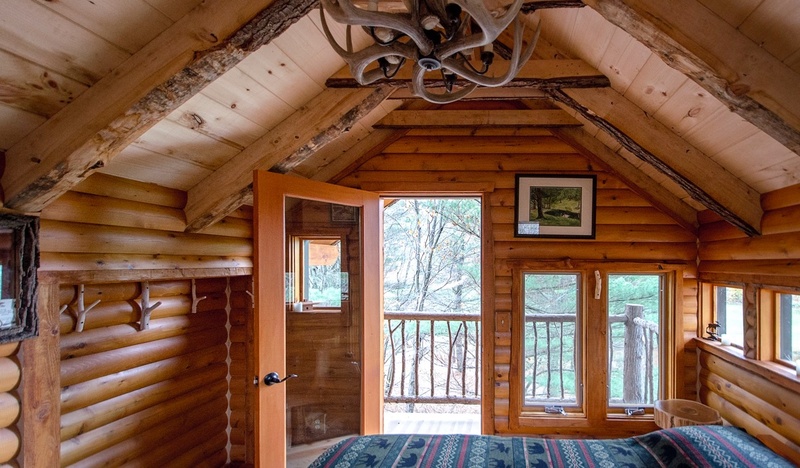 Additional $475/night for the Treehouse when available. Owners live on site and are available to provide concierge service, suggest tours, restaurants and area activities. Two-night minimum required.